Russian food is not all about vodka, borsch and caviar. RBTH has mapped different regions of Russia to show you the diversity of its gastronomic geography. Kolomna’s “pastila” is an old Russian delicacy made of sour apples, honey and molasses. It has been part of Russian culinary traditions ever since the days of Ivan the Terrible. It was a peculiar sort of medieval preserve and an excellent way to conserve the harvest. The apples would be stewed in an oven, softened and then laid on planks to dry under the sun. They would then be rolled into thin fruit strips and enjoyed as a delicacy while waiting for the next harvest. Some people compare it to a marshmallow. Everything you ever wanted to know about pastila, including the secrets of its production, can be found at the Kolomna Pastila Museum. Of course, pastila can be tasted and purchased here as well. Kolomna is 96 kilometers from Moscow. Tula gingerbread (pryanik) is probably the most famous Russian sweet there is. In most regions of the country “pryaniki” are small, round and have a rather dry taste. But in Tula (183 kilometers from Moscow) they began preparing rectangular gingerbread stuffed with moist filling and decorated with sugary drawings as early as the 18th century. Learn all about it at Tula’s Pryaniki Museum. By the way, the museum makes a great double date with Tolstoy’s museum, which is located nearby. Previously known as the Gulf of Trepang, Vladivostok (9,314 kilometers from Moscow) is the only place in Russia where sea cucumber can be found. Trepang is a seawater invertebrate that resembles a large hairy worm. Due to its taste and health properties it has been considered a delicacy in Japanese, Korean and Chinese cuisines ever since the 16th century. Trepang is served either boiled, as an ingredient in salads, dried, Ð¾r even as a liqueur with alcohol and honey. Muksun and omul are the most famous kinds of fish in Siberia. As both are types of whitefish, fishermen and local inhabitants distinguish them according to the fishing season. The omul is smaller than the muksun, but its meat is equally soft, sweet and fatty due to its inhabiting cold waters. Mild-cured muksun is the most delicious of its kind, and can be tried only in Siberia, while the omul can be found exclusively near Lake Baikal. In order to prepare the Siberian tartare (known as “Suguday”) you must use these fishes. 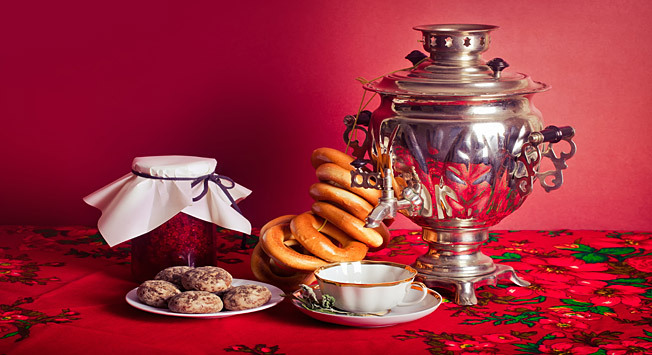 Uchpochmak (meaning triangle in the closely-related Tatar and Bashkir languages) is one of the most popular pastries in Bashkortostan and Tatarstan. It is a small closed pastry filled with potatoes, mutton and onion and is often taken with soup and tea. If you go to Ufa (1,265 kilometers from Moscow) or Kazan (719 kilometers from Moscow) and are looking for insights into what make the locals tick, try an uchpochmak. It can be found in almost any local supermarket or cafeteria. Every May the air of St. Petersburg fills with the smell of fried smelt and fresh cucumbers, declaring to one and all that springtime has finally arrived. Smelt are a fish that swim the Neva and the Gulf of Finland and has become the unofficial gastronomic symbol of the city. Its season is spring and smelt is at its best when fresh. That’s why every year St. Petersburg hosts a spring smelt festival, which unites its inhabitants around a long-standing tradition. The best mutton in Russia can be found in the Caucasus region in Dagestan (1,795 kilometers from Moscow). Meat in Dagestan is traditionally prepared by men, which takes some of the burden off of women, who are busy making pastries. The meat of Dagestani lambs lacks the strong odors usually associated with mutton, and its fat is what gives it its flavor. This is what sustained the region’s nomadic ancestors centuries ago and you certainly should try a Dagestani mutton “shurpa” soup or “shashlyk” kebab if you see it on a menu. Authentic flavor shouldn’t be hard to find as almost all fresh mutton in Moscow comes from Dagestan. If you find yourself weighed down by permafrost in the Russian North, try the Arctic delicacy “stroganina.” This is a thin fillet of frozen fish dipped in a mixture of salt and black pepper that can be prepared using most varieties of local fish: broad whitefish, omul, sheefish, sturgeon, muksun, golets, taimen, peled and white fish. If an authentic stroganina is what you’re after, buy a ticket to Yakutsk (4,898 kilometers from Moscow). Right next to the Altai Mountains are Russia’s largest buckwheat fields, which makes bees very happy. The offspring of this love affair is an unusual kind of honey: It has a liquid consistency and a dark amber color, and leaves a distinct aftertaste in one’s mouth. It can be found in just about any supermarket in Moscow. It is a perfect compliment to a cup of tea made from Altai herbs. Tatars, Bashkirs, Kyrgyz, Uzbeks and Kazakhs all love to eat “chak-chak.” It is the most popular “eastern” desert in all of Russia. Made from just three ingredients - flour, eggs and honey - chak-chak becomes small sticks shaped from dough and is subsequently fried and covered in honey syrup. The end result is a big and sweet cone-shaped lump eaten by hand. This food has been eaten the same way since it was invented by nomadic steppe peoples 1,000 years ago.